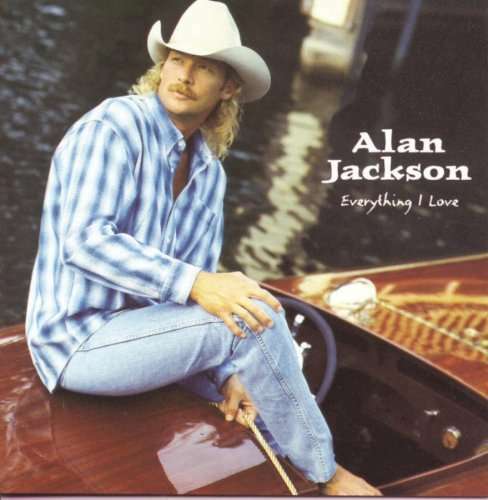 Everything I Love is the sixth studio album by American country music artist Alan Jackson. It was released on October 29, 1996 and produced six singles for Jackson on the Hot Country Songs charts: the Number One hits "Little Bitty" and "There Goes", Top Ten hits in the title track, "Between the Devil and Me", and "Who's Cheatin' Who" (a cover of Charly McClain's #1 song from 1980), and the #18 "A House with No Curtains", his first single since 1989's "Blue Blooded Woman" to miss the Top Ten. It is the only album of Jackson's career to produce six singles. Everything I Love peaked at #12 on the U.S. Billboard 200, and peaked at #1 on the Top Country Albums, his third #1 Country album. In August of 2001, Everything I Love was certified 3 x platinum by the RIAA.